Production Company: 20th Century Fox/ Lightstorm Enterprises Inc. WINNER!!! 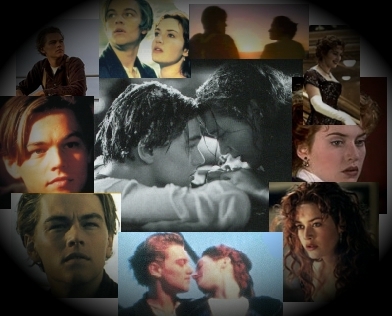 Best Original Song: "My Heart Will Go On"
When I first saw TITANIC, like everyone else in the theater, I cried. When I saw TITANIC for the second time in the theater, I bawled, and the third time I saw TITANIC in the theater, I just sat there astounded. To me the movie was a lot more than just another chance to drool over Leonardo Dicaprio. It was a chance to see how it was to be on the RMS TITANIC as she went out for her maiden voyage that fateful April of 1912. Throughout my life, I have always been intrigued by the story of TITANIC since I had first learned about it at the age of 10. For some reason, it just hit me. Over 1500 people out in the middle of the ocean dying with nowhere to turn for help because the number of lifeboats needed would make the ship appear too cluttered. Irony. Pure Irony. But the worst thing I believe about the disaster was the way the lower class was treated. Many were not even given a chance to be saved as they were locked out or simply not allowed on the boats reserved for first class ticketholders. What a load of crap! To me, this movie brought it all together and reallt truly made it hit me as to how cruel people can be to one another. Just because someone only paid $36.75 rather than $100 for means that they don't have the right to have a chance to survive. It just goes to show how cruel humanity really is today. As far as the rold the movie plays into all this, I feel that James Camerson did a superb job painstakingly paying attention to each and every minute detail. This can be seen in everything about the movie especially the historical accuracy. Friday February 13 FOX aired a special on the making of the TITANIC with real survivors proving that James Cameron was probably 98% accurate on his portrayal of the events in the TITANIC. Superb Directing! Also I believe the actors did an outstanding job as well. Not only Kate Winslet and Leonardo Dicaprio, but also Gloria Stuart who proved that even though Rose had aged, she still had her true firey spirit, Billy Zane who played the snob we all loved to hate, and also Kathy Bates providing comedic contrast in her portrayal of "The Unsinkable Molly Brown." Hats Off To You All!! !